It’s July and it feels like 100 degrees outside so naturally I made something light and refreshing to cope with the heat. Okay, not so much a summertime treat. But hey, I did add ice cream. I should get points for that. I’ve been wanting to make this for the past several months after I saw the recipe in Martha Stewart Living. I ripped the recipe out to save and this picture has basically been begging me to make it every since. So Sunday was the day. Mainly because I finally came across the Medjool Dates at the Fresh Market that are recommended in the recipe. Whoppers! Just slice them open, remove the pits and coarsely chop them up for the batter. I love that this dessert just calls for a few ingredients. And that the dates get soaked in steaming hot coffee. Again… so summery. 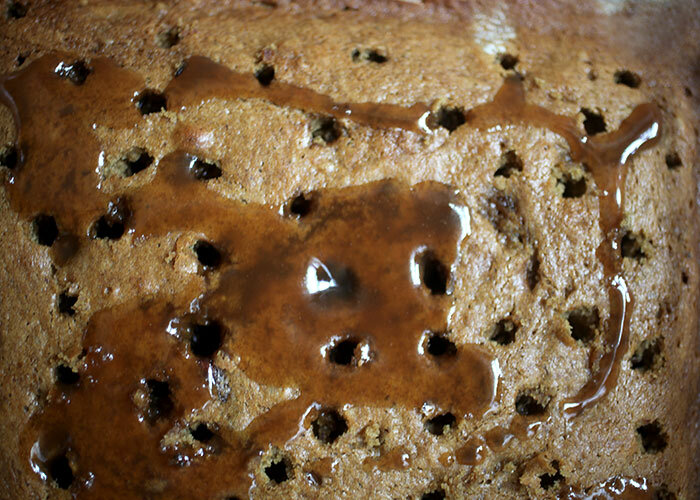 And then after the cake comes out of the oven, you pour warm, cozy toffee sauce all over the top. The sauce is super easy, too. Three ingredients easy. Poke the cake with a toothpick or skewer and pour the sauce all over. I went all lollipop stick on mine for greater saturation. The cake is gloriously drenched and just delicious all by itself. But it looks kind of lonely, don’t you think? 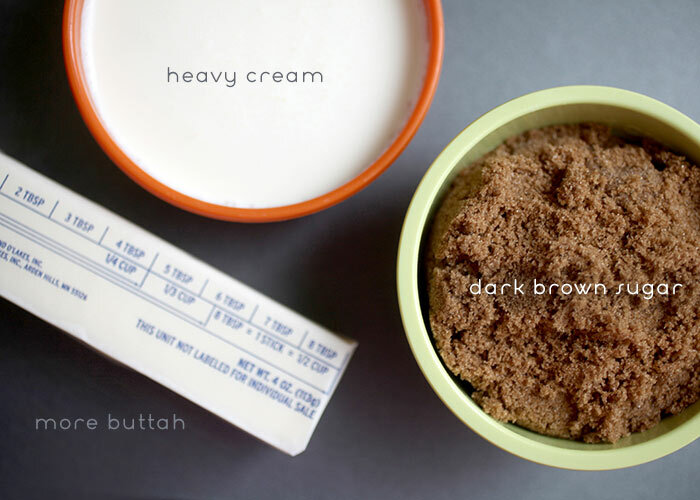 Here’s the recipe from Martha if you want to make it too. I mean if you want something hot to cool you off. OOH, this looks so good! 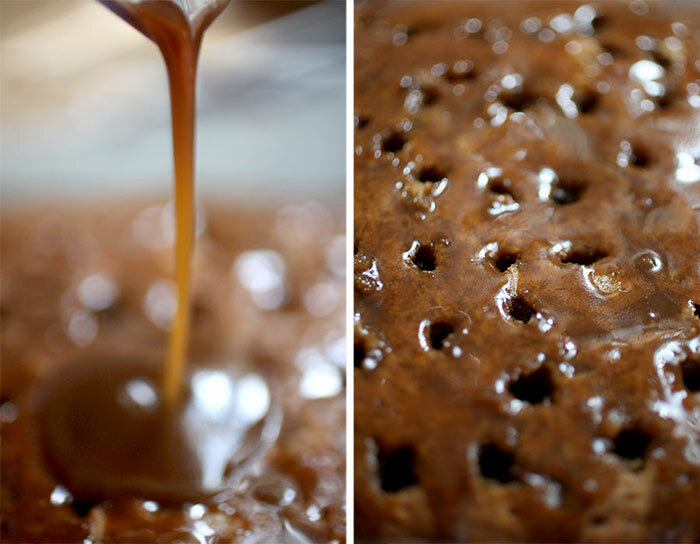 I’ve never tried sticky toffee pudding, but I think I’m going to need to soon! Glory – You must try! Every time I see this recipe, I wonder if it’ll be too sweet…. if the IS such a thing as too sweet. Muchas gracias por compartir… La verdad se ve delicioso este pastel. Saludos desde Venezuela! Thank you very much. whyyyy do you do this to us? can i have this delivered? 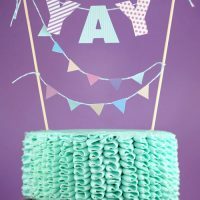 Its 12:45 in the morning and I am a still awake – reading your newest post… that’s how awesome your blog is! This treat may not be full time summer, but it sure does look good! You should do more summer treats, or some for the forth of July! 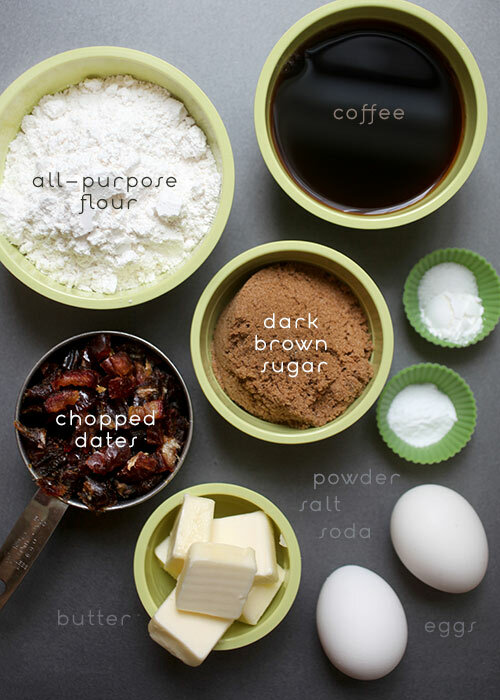 It would also be cool if you gave some recipes for to do when you tottaly ruin a batch of treats, like brownie. As a Brit I can say I approve. It’s so addictive. once you start, you can’t stop. Somehow you managed to make dates look as tempting as chocolate, and that’s nearly impossible in my world. Oh, yuuuum! Winter time in Australia… Something warm and yummy is much appreciated here. I could still manage some Icecream though. Oh, my goodness, that looks incredible!!! Mmmm – I recently discovered medjool dates and my daughter and I are in love! Kind of like caramel fruit! Just as an FYI, certain warehouse clubs carry large containers of medjool dates MUCH cheaper than at the grocery stores and Fresh Market. They are at my S*ms Cl*b in the produce section. So much goodness in one pan! What a great looking pudding. If we need to cool off, we can eat this in front of the AC, no biggie! I had this in Australia for the first time and it was so yummy so I made it a time or two when i got home and then thank goodness forgot about it…until now!!! This is as addictive as you blog and can add some unwanted pounds!!!!! Wow this looks fantastic!!! 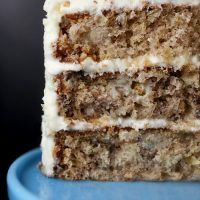 I absolutely love your use of dates in this recipe. I’ve been cooking a lot with them lately and it’s great to see others have too! Holy cats, I’m addicted, already. I can’t even look away from the photos! Sob, lost cause. Holy – YUM! I too have been haunted by a sticky toffee pudding clipping in my file!! LOL! Probably the same one!! This looks worthy of heating up the kitchen in the summer!! Thanks!! cake and pudding together. what could be better? 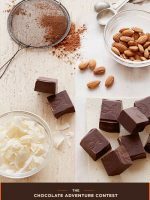 Being a chocolate lover, when I make this, I don’t think I will thinking about that since this recipe has another realm of awesomeness of sweetness with this combination. This is definitely a keeper. You’re photography is beautiful (the cake doesn’t look bad either!). Any pointers? That looks too good not to try. And I have almost everything on hand – except for the dates. 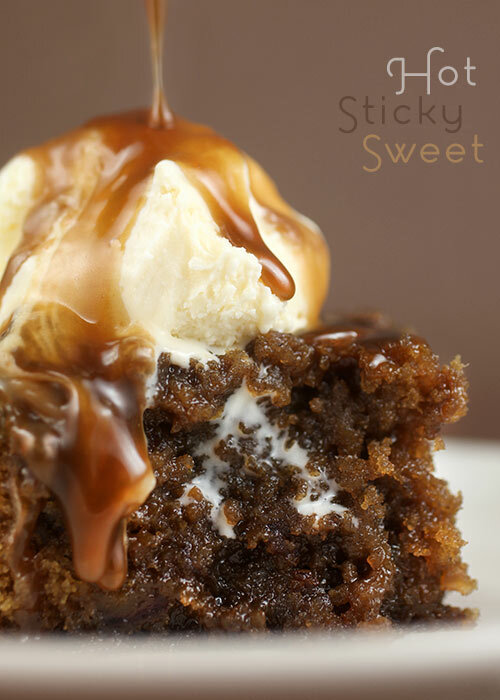 I have been dying to try sticky toffee pudding! 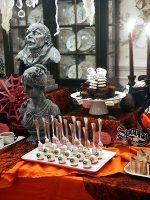 It looks insanely decadent! it’s so awesome! 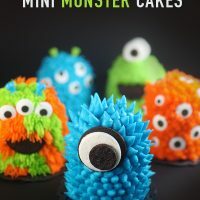 I going to make them! Yes, just use boiling water instead. I’ve made it for years, & never used coffee. What in the world?!?! I have sworn off the oven until it gets under 100 degrees in Fresno, but man, oh man, this toffee pudding is going to haunt me until I make it!! 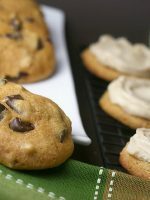 I’ve never cooked or baked with dates – have never come across a recipe that made me desire them – but, that has allll changed now! Oh my gosh! This sounds AMAZING and a perfect match for the weather! Extra mouth-watering with the coffee and dates, two of my favorite things! Oh my! That looks delicious. Am adding that to my ‘gotta try’ list. Love that the dates are soaked in coffee! Thanks for making this and sharing! Yum! 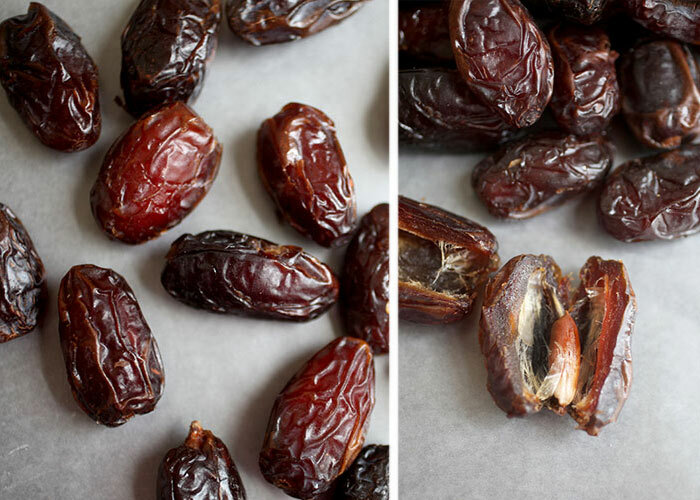 I have never tried a date, but now, MUST. MAKE. THIS. CAKE. SUMMER FOOD IS OVERRATED! CHRISTMAS IN JULY!!!! :D xoxoxo Gorgeous. My mouth is watering! Oh how I would LOVE a piece of that right now! It looks AMAZING. That looks insanely good! I just ate a lemon square but now I want one of these!! Sticky Toffee or (Ticky Stoffee) Pud is such a common dessert over here in England – you lot have really been missing out! Also served great hot with some pouring cream. Oh, wow. Anything with coffee works for me! This is amazing. oh my goood! that irresistibleeeeee cake! oh for flip sake. I just forgot who I was for a minute.  Any help would be greatly appreciated…would love to make this soon!!! This looks amazing. and it’s winter here. WIN! Oh. My. This is the finest cake! Perfect for my sweet tooth late on a summer night! Perfect for us here in wintery NZ! Thanks so much :) I’ve been getting all envious of you northern hemisphere folks posting about berries, tomatoes, mangoes and ice-y desserts! That looks sinful! I have a salted toffee that would go wonderful with it. Oh goodness. :O We already have a bunch of 4th of july leftovers, so I can’t make this just now. 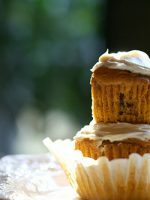 But wow, this would be a way to spruce up some gluten free cakes and make them moist! I’ll have to play with the recipe and see if I can’t use it to make a quick gf fruit cake later in the year. This always seems to be what I do too! Last week as the temperatures climbed resolutely toward triple digits, there I was gracing the internet with yet another bread pudding recipe. 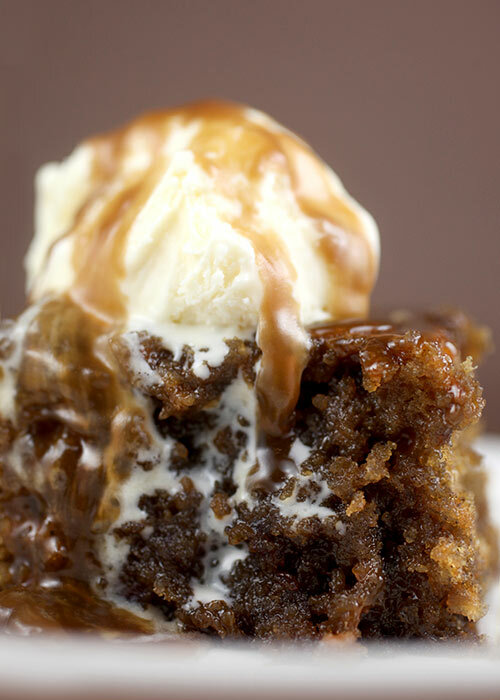 This sticky toffee insanity looks amazing, though. I agree: total points for adding ice cream to cool things down. Wow, that looks absolutely amazing! I’m definately going to have to try that recipe… and SOON!!! Since it’s been super rainy outside where I’m at, I think that’s the perfect treat to try! Thanks for sharing Bakerella :)! This looks soooo good. 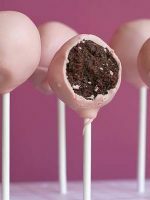 I’ll have to try the lollipop poking thing next time. I made this when I saw it in her magazine also! I loved it!!! It really is fantastic!! Glad you re posted it!! It is 100 degrees and 1 % humidity. I am making this . I must be bonkers. Can you tell me what size pan you used to bake it in? One more question … How much sugar goes in the cake and how much in sauce? 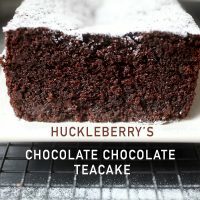 We made this the other night after seeing it on your blog, and it was amazing! Dottie – I put 6tbs butter and 3/4 cup brown sugar in the sauce (along with the cream), and other quantities in the pudding, and this worked out well. I picked these quantities based on other similar recipes on Martha’s website – although she really should have made it clear in this recipe! Excellent! Fine! I wish I could eat this ice cream. I made Toffee Dream my way this Thanksgiving — with real whipped cream (rather than Cool Whip) — and used the Magic Bullet to chop up the Heath Bars. The MB ptrety much pulverized the bars but I really liked the results in the pie. The toffee/chocolate was dispersed throughout so I didn’t get any super-sweet bites with big chunks of toffee. I think I’ll make it this way from now on. Oh, yum! That looks delish! I love sticky toffee pudding! Anything with caramel has my name all over it! I made this and it was incredible! The whole thing was gone in 24 hours and there was only two of us eating it. 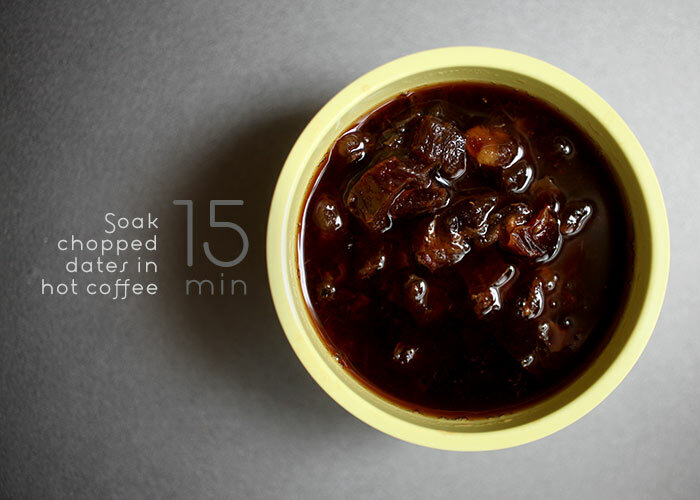 We don’t drink coffee, so what might you recommend to soak the dates in rather than coffee? I’d be willing to make this in the desert if need be!!!! Looks amazing! The term “pudding” does not mean pudding in the sense of a custardy creamy milky dessert served in a bowl. The term “pudding” in the UK etc., means dessert. Thus, Sticky Toffee (dessert). On their menus there is a heading that says “Puddings”…which is followed by a list of desserts. Whoa! That looks amazing! I’m going to have to try it, like, right now! 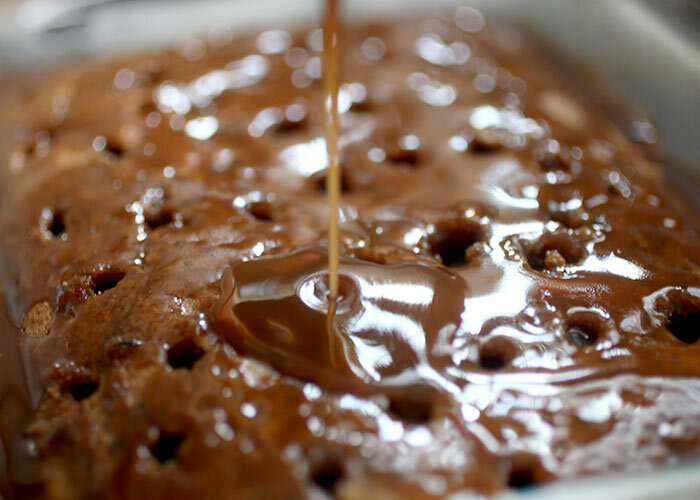 Having just returned from 15 days in the UK, and one of my favorite things I tried was sticky toffee pudding, I went in search of the recipe. Yours was the picture that caught my eye on Pinterest. Wow, you made it look even more decadent than I knew it to be. I tried the recipe today and it was everything I had hoped for. Thanks for sharing your hard work and the link to your inspiration, but I must say if I had just seen the M.S. picture I would not have been nearly as tempted as I was by yours. All I can find in my nearby markets are heavy whipping cream or whipping cream. Probably get this a lot but is there a big difference between heavy whipping cream, whipping cream and heavy cream? Its hot down here in Africa, but I could easily devour this pudding in the heat. 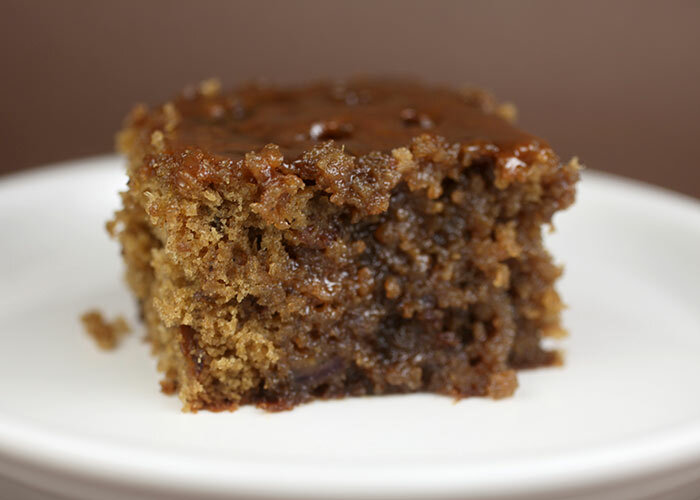 The soft medjool dates makes this dessert deliciously moist and sticky. Yummo! Just made this today and it is AMAZING. Everything you could possibly want in a dessert. I saw it on TV last night, someone said it was their favorite dessert, so I found this recipe and went to town. Delish. 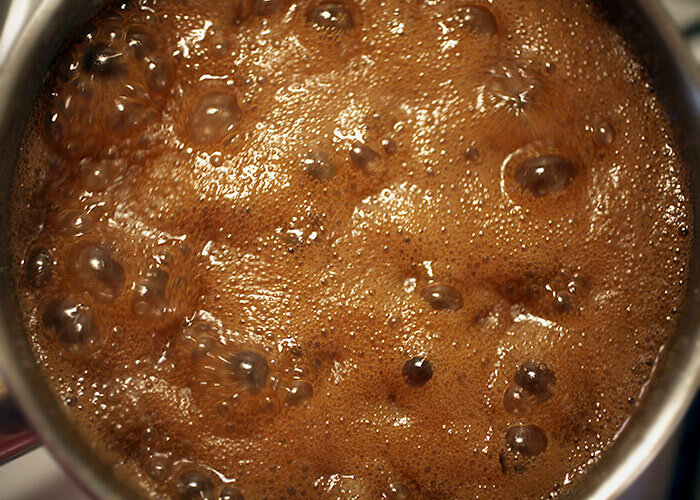 When adding the dates, do you drain them or pour dates and coffee. I think you probably do. Can you use regular dates?